ChefShop.com/enews - "ChickPeas, Lentils, Dark Muscovado Sugar"
The thin inner bark of Ceylon Cinnamon has a finer, less dense, more crumbly texture than the popular Cassia - or Saigon Cinnamon. It is also considered to have a more mellow flavor and a paler brown color. Due to the presence of a moderately toxic component called coumarin, health agencies have recently warned against consuming large amounts of cassia. Coumarin is known to cause liver and kidney damage in high concentrations. Ceylon cinnamon has negligible amounts of coumarin. Muscovado is a soft, moist, fine brown sugar. It's also known as Barbados sugar, where it was once made. Ours comes from the island of Mauritius off the African coast. While most brown sugar these days is made by combining already-refined sugar and adding a molasses-like syrup, this is the real thing, a less refined product with rich, complex flavor. In my mind, it's not just sugar. We use it on our oatmeal in the morning, in any recipe that calls for brown sugar, and it's a key ingredient for summer grilling marinades. There are certain cookie recipes that shine when you add it or even convert all the sugar to Dark Muscovado. The dark color is a good indicator of the rich flavor that the sugar adds to a dish. A little bit adds a nice touch to a tomato sauce for pizza, an apple pie, or maybe on some ribs at the BBQ. Be creative and experiment! Or make a gravy for your ham; mix mustard, muscovado, lemon olive oil, lemon juice, mayonnaise, and salt and pepper. 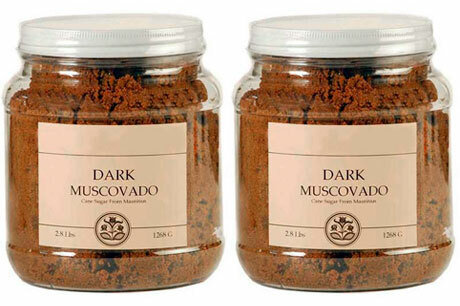 Shop now for Dark Muscovado! 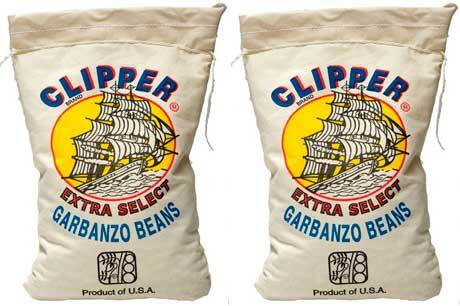 Chickpeas (aka Garbanzo) are a regular staple in American cuisine. Most everyone has a favorite hummus recipe, or three, and they're an almost ubiquitous feature at the supermarket salad bar. In fact, the humble chickpea (or garbanzo, or ceci bean, or Indian pea ad infinitum) is an international favorite. It turns up in cuisines from India, South America, Northern and Western Europe. Perhaps their popularity has something to do with their mildly sweet flavor or their unusual shape. Read more about the benefits of the chickpea. Chickpeas pair well with pastas, rice, and even heartier grains, like hard wheat and farro. They make a distinctive dip, of course, but they're even better in a long-cooking stew. They can also be ground for flour, deep fried, or even made into sweet pastes, candies and puddings. For me, chickpeas were the gateway food that opened up my palate to all things Middle Eastern. Just thinking of chickpeas makes me start to crave their complimentary flavors; I want figs, nuts, parsley, sweet onions and lemons too! Tina loves these Chickpeas. While Giuseppe is over in Europe getting the next crop ready for the fall, and working on the details for his cooking school, we are here busy trying all of his flavored oils. Summer is a wonderful time to use Bergamot Olive Oil on rich dark chocolate ice cream sprinkled with Maldon sea salt, or try Blood Orange Olive Oil on that grapefruit and avocado salad. The Chili Pepper Olive Oil, light in heat, adds a nice bit of "spice" in the way of heat. Like adding a few red pepper flakes to a dish, this oil is a good one to have in your summer pantry. Experiment. Spice it up. Oil with zing. Its not like a chili Szechuan oil, this is a refined olive oil with a personality. Use it with gusto and fun in mind. Shop now for Chili Pepper Olive Oil! A fresh Batch has just arrived! It's the perfect mix, a handful or a spooned scoop in the palm of your hand, a selection in just the right amounts makes it perfect for a summer party! Or better yet, just for you! Fastachi Nuts simply roasted in small batches with just sea salt; for clarity, perfection and clean, distinctive flavors. We have enjoyed this mix for years, and in fact carried them many moons ago. 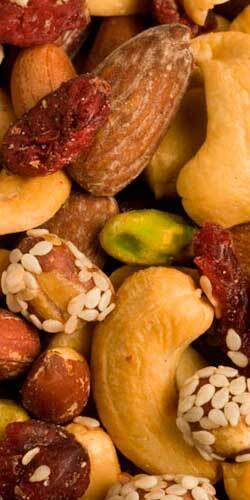 Perfect for an office snack or a party mix, these are good! A one-of-a-kind twist that leaves a tart and salty taste dancing on your tongue. Its chewy and crunchy texture of cranberries, salted pistachio meats, salted almonds, roasted unsalted almonds, salted hazelnuts, roasted unsalted hazelnuts, salted peanuts, unsalted peanuts, red skin peanuts, sesame peanuts, and salted cashews will keep you coming back for more. The Early Robin and Rainier cherries have shipped. Now we move onto the sweet dark red cherries. At press time the Bings are expected to be shipping. Time to order Lapins! Keep Checking on Facebook for updates. Order your hardneck Garlic now! Order as much garlic as you need for the rest of 2011! When stored properly, hard neck garlic will last until Christmas. Don't miss this amazing treat. I had a Chef tell me that the best garlic he has ever had is from Washington! And he lives in California! Add some spice to your life with exotic Moroccan food. From the exotic to the quixotic, watch as Erin puts together a traditional chicken tagine with preserved lemons, a delicious quinoa couscous, and more. Five spaces left. Does your grilling repertoire begin and end with steak and the occasional veggie? Take your outdoor cooking one step further by putting all that good heat to work for you. We will make an entire dinner on our outdoor grill, even dessert! Get your rain hat on - and come cook in our parking lot! Cooling foods for a hot-weather climate. Want to indulge your taste buds all summer long, but don't want to overheat your kitchen? Learn tips and tricks from the masters of keeping things cool, and learn why the "Mediterranean Diet" is simply a way of living and eating well. Fresh Lentils, even when they are dried, make a difference, and lentils from the Palouse are the very best. Great for a topping on Ham, it also dresses up potatoes. Whether mashed, baked or roasted, this topping is quick and easy and delicious. A classic Ligurian Farinata courtesy of Marcella Hazan, and her classic Italian cookbook, Marcella Cucina. Whenever I need to find a classic Italian recipe, I turn to Marcella before I look anywhere else. And she never disappoints. Recipe adapted from Marcella Cucina, by Marcella Hazan (HaperCollins, 1997) If you don't have this cookbook, you should!